J. J. McCall is an agent with the F.B.I. She is a very successful agent and has been for nearly a decade, years of which spent working in the counter-intelligence division. Her specialty has been finding Russians stationed in the U.S. and turning them to work for the Americans. Over the years she has found more than a couple who have been positioned high enough in the Russian FSB to provide some excellent data. Her greatest gift, though, is often one of her biggest irritants, literally. Just like her mother and grandmother before her, McCall has almost a Second Sight when it comes to lies and it comes in the form of an itch. Tell a white lie to her and the skin on her arms will tingle just a little. Tell a good one and she will have the annoying desire to scratch. Tell a whopper and the itching will spread throughout her whole body. It is not something she likes having but it is a trait that she has used to ferret out some very good undercover agents. A tall, good looking Black woman, McCall is the product of an unusual pairing. Her mother was for many years until her death an F.B.I. agent as well. Her father, though, was often on the other side of the authorities as a member of the Black Panthers. How the two met and fell in love and started a family would make a great story on its own. As McCall points out in at least one instance, saying her father was an ex-Black Panther was like saying someone was an ex-Marine - there is no such thing. Her father's distrust of the police has mellowed somewhat over the years due to having a wife and a daughter as one but the word mellow needs quotes. To say that McCall is a force of her own is an understatement. With her gift of knowing a lie when she hears it, something she has felt best to keep to herself, she can speak her mind, and does often, and back it up. Since she knows her talent is best left unknown, she uses it in more subtle ways. Depending on the situation, when she hears a lie she might choose to pounce but she more likely will move on and gradually erode a story until the truth comes out. Watching her at work with suspects is truly a joy. Watching her deal with her bosses, though, is not so fun. For all its advances in Equal Opportunity, the ability for a Black woman to crack the glass ceiling is slim. The fact that this African-American woman knows the garbage coming from the lips of her supervisors when they tell her how much she is needed in the field, and sometimes cannot refrain from commenting (harshly) just adds to the problem. McCall thinks about quitting. Every week she seems to vow it will be the last one. But it isn't because despite the extreme frustration of being held back and knowing it, she is still very, very good at her job and loves it. Catching spies can be fun. 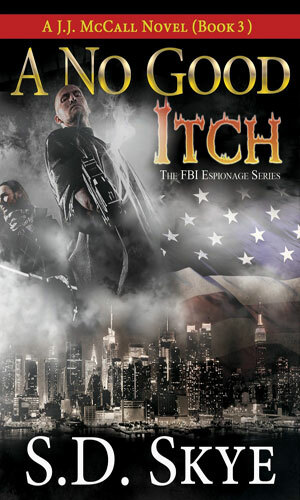 J. J. McCall is one of the FBI's best recruiters of Russian agents but they start getting killed or recalled, letting everyone suspect there is a high level mole at work. 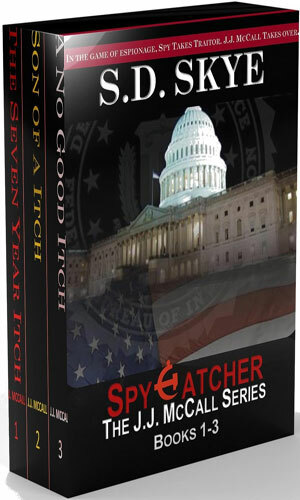 The hunt for the FSB mole in the FBI takes a frightening turn when J. J. McCall and team learn the White House has been bugged. 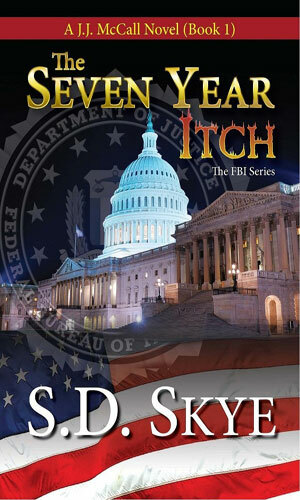 Meanwhile, the mole, an FBI agent, is out for revenge herself. 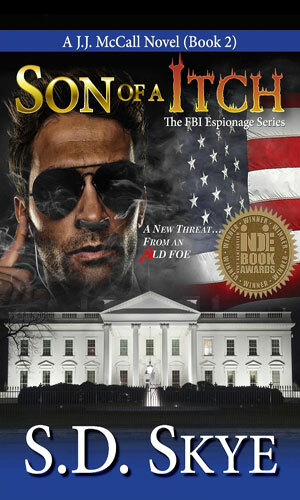 The Russian FSB is out for revenge against those who caused the death of one of their moles, causing J. J. McCall of the FBI to work with the Mafia. An omnibus containing the first three adventures: The Seven Year Itch, Son of an Itch, and A No Good Itch. This is a good series. A very good one, in fact. It has a terrific protagonist with an interesting talent but wonderfully, it does not belabor that gift. McCall is not a good agent just because she has this ability (or curse). She is a good agent because she is smart, determined, conscientious, and wise enough to use her "skill" as just another tool on her belt. She is also joined by a good handful of very interesting people that make the books not just about her but also about them. "Six" is the CIA agent who was her great love for a while but then blew it. He would like to rekindle the spark but she has totally (well, maybe not totally) moved on. Her love now is Tony, a fellow agent with the FBI, a white guy whose father is a made man with the New York Mafia. There are others, too, but when you have the FBI and the CIA, Law Enforcement and the Mob, White People and Black People, and then you throw in the Americans and Russians, you have an interesting situation. And the author pulls it off. How great is that!